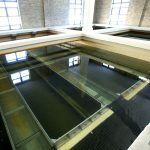 In 2017, Ketek was contracted to replace three water transfer pumps and two backwash pumps at the Camrose Water Treatment Plant. 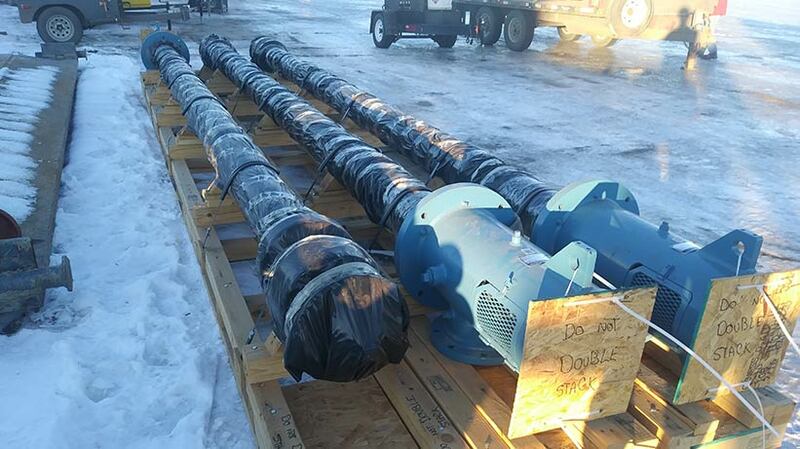 Ketek worked with its frequent business partner, Sego Industries, and pump manufacturer Xylem Pumps of Lubbock, Texas to ensure the new pumps matched all the specifications of the old. 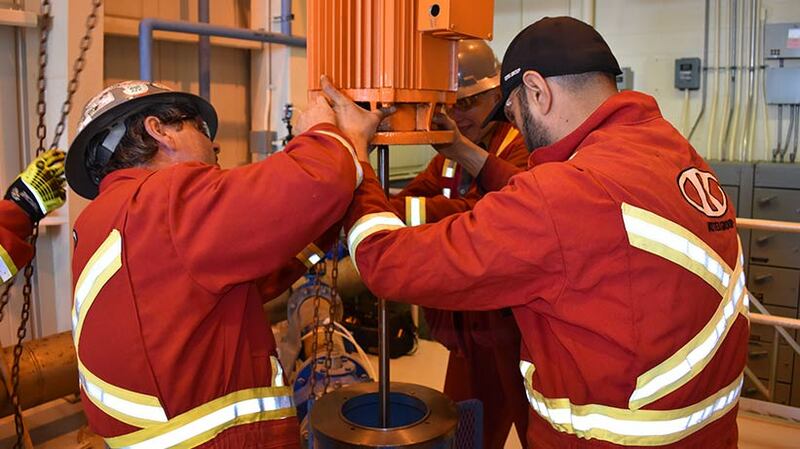 (Ketek is the exclusive distributor of Xylem pumps in Western Canada). 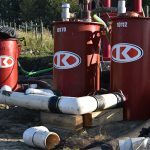 Ketek removed and disposed of four pumps and discharge heads (one transfer pump having been removed by the City a year earlier). 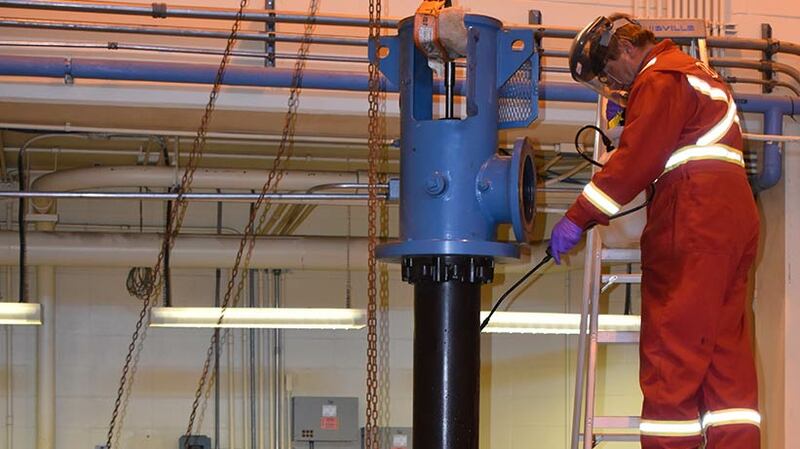 Ketek installed the five new pumps and discharge heads and attached the existing motors. Ketek then commissioned the equipment. Water samples had to be sent to the provincial testing lab to ensure there was no contamination. 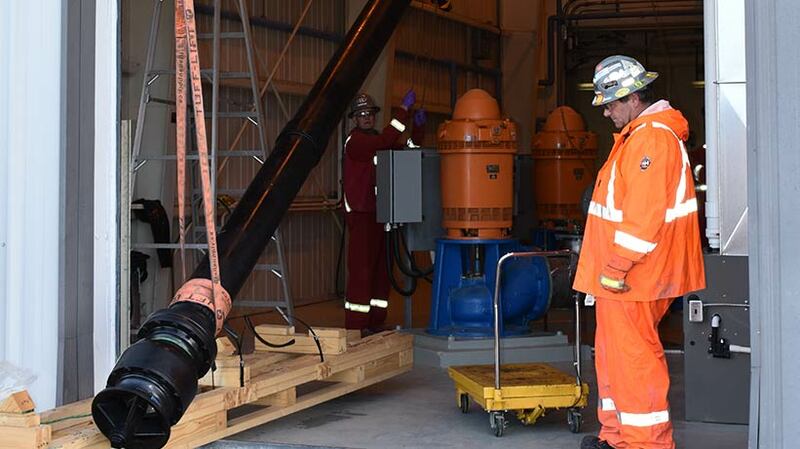 Tranfer pump #1 being lifted into the water treatment plant using the facility’s crane and Ketek’s picker truck. Spraying transfer pump #1 with sodium hypochlorite to ensure the drinking water in the tank below did not become contaminated. The City considered new motors for the pumps, but elected to use existing motors. Here, Ketek attaches an old motor to a new pump. 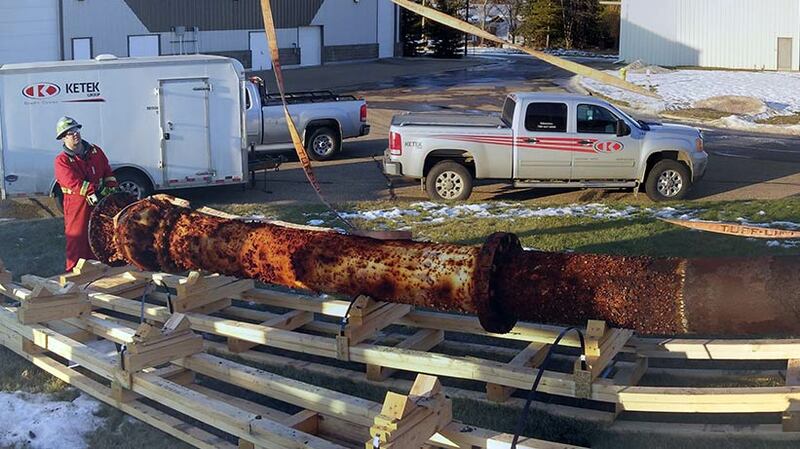 Preparing an old pump to be taken back to Ketek’s yard.